Medical concept – Male doctor working on computer tablet wearing doctors uniform in a hospital or doctors office. Concept of medical data analysis by doctor, medical technology and doctors data. Electronic health records (EHR) do not have a very good reputation among doctors. In fact, EHR-inspired troubles continually make the top of the list of things doctors find dissatisfying about modern medicine. So, is there a way to fix it? Is there a way to design EHR systems that actually work for doctors without putting tons more work on their shoulders? Absolutely. EHR systems are designed to do two things. First, the main purpose of electronic health records is to create a central database of patient health information accessible to healthcare providers regardless of where a patient is receiving care. Second, EHR systems are designed to collect and analyze data metrics in order to improve healthcare delivery on the business side. Both reasons are legitimate. Unfortunately, the terribly broad scope of the EHR concept has led IT professionals to create systems that are equally broad. They develop one-size-fits-all systems built from the coder’s perspective rather than the provider’s. Anyone and everyone involved in patient care uses the exact same system regardless of need. It might seem that a one-size-fits-all EHR system would work fine. Here’s why it doesn’t: doctors have different needs than nurses, technicians, billing specialists, office managers, etc. Building a single system for all of them results in a bloated software environment with so many tools that it’s nearly impossible to figure it all out without an IT degree. The end result of such bloated EHR systems is that doctors are faced with hours of extra work every single day. Time that should go to patients is spent sitting behind a computer screen trying to figure out what data should be entered where. The system certainly is not efficient by any means. So how do we fix it? By trading in the one-size-fits-all approach in favor of a more customized one. A customized EHR would benefit private practice owners, locum tenens physicians, and employed clinicians alike. Customized EHR software should not be difficult. If software customization can be managed in accounting, education, law enforcement and so many other professional environments, it can be done for medicine. The key is to build software using a modular model. In other words, EHR software should start as a core product addressing the needs of all users. Additional functionality is then implemented via separate modules for each of the professionals involved. A key aspect to this modular approach is one of eliminating those functions doctors don’t need. If a doctor doesn’t need a given tool, it should not exist in the physician’s module. Likewise, the physician’s module should not include any extemporaneous data. Doctors need a streamlined module that both locums and permanent clinicians can use as easily as a word processor. In order to make a customized modular EHR solution work, doctors would also have to receive specialized training. Training really is the linchpin of every EHR system anyway. Ignore it and doctors are likely to be easily frustrated by the systems they are forced to work with. Give them appropriate, high quality training and they are more likely to at least tolerate EHR mandates, if not embrace them outright. 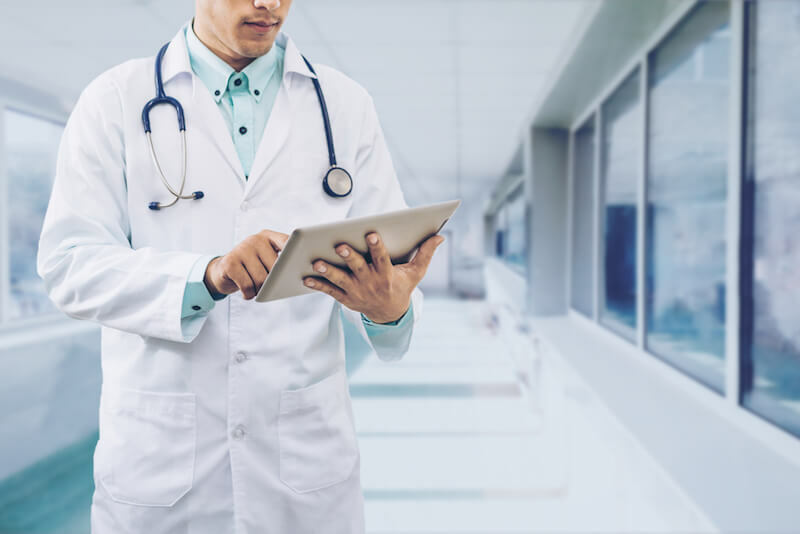 The University of California Davis just recently wrapped up a new pilot program involving a customized EHR developed in-house. The pilot included extensive training among those doctors who volunteered to test the system. Much to UC Davis’ delight, the pilot proved to be a tremendous success. The university has successfully proved that EHR systems can be made better through customization and training.